Meet Richard Browning from Wiltshire, England. He’s an oil trader by profession and also a part-time inventor who wants to break the boundaries of human-powered flight. 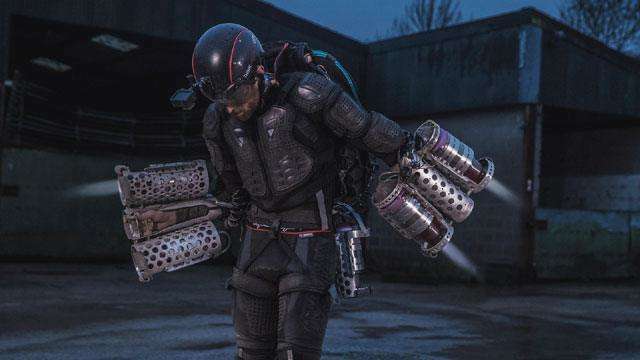 According to Wired, the 38-year-old former Royal Marine reserve has created the closest thing that resembles a working Iron Man suit. Browning calls it the Daedalus, a £40,000 (around P2.5 million) flight suit prototype mainly composed of an exoskeleton attached to six gas turbines. The turbines are powered with kerosene fuel and produces thrusts of 130 kilograms and speeds of up to 450 kilometers per hour although Browning says he hasn’t reached its full potential yet. But the newest upgrade to the Daedalus comes in the form of a heads-up display provided by Sony after the multinational conglomerate recognized Browning’s efforts. He installed the display to the suit’s helmet and this allows him to accurately check his fuel levels without a hitch. For now, Browning is focusing on stabilizing and prolonging flight times with the Daedalus that currently varies between a few seconds and a couple of minutes.